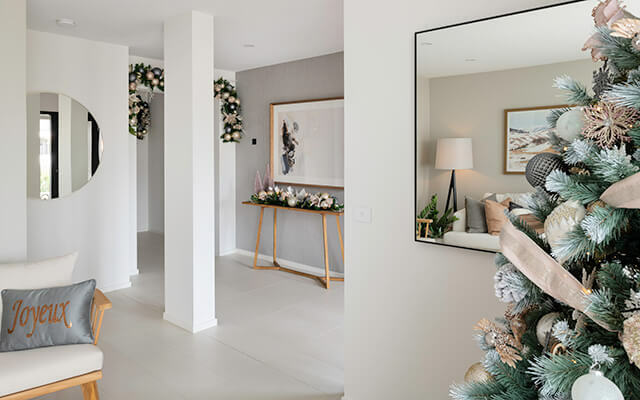 Dennis Family Homes has joined forces with www.mychristmas.com.au to showcase festive style across its two display homes at Marriott Waters displays in Lyndhurst from 17 November – 9 December. The homes on display at Marriott Waters are two of the company’s most popular four-bedroom home designs – the single level Macedon and the larger, two-storey Marsden. Both residences have been decked out from top to bottom with high quality decorations by the team at MyChristmas and will be open to the public from Saturday 17 November until Sunday 9 December. 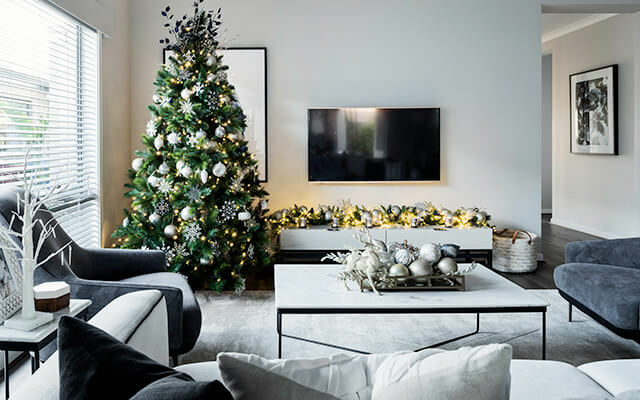 More than $15 000 worth of Christmas decorations will be on display in the display homes, demonstrating traditional and contemporary design themes. 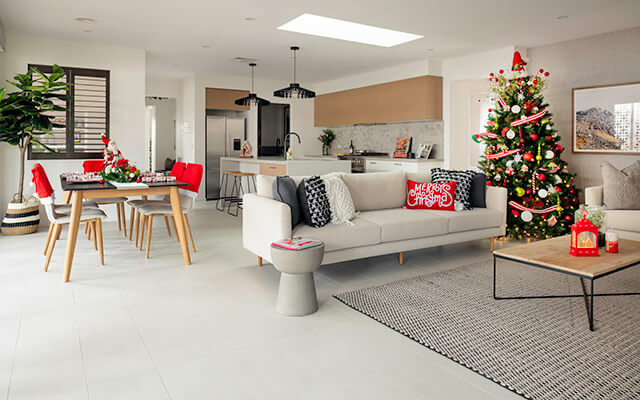 For MyChristmas designer Nicole Keleher, the aim has been to show visitors a range of ways to integrate beautiful Christmas decorations into a home’s interior over the festive season. “We have introduced decorations that work with the houses’ existing colours and styles, using soft ‘Christmas Blush’ pinks in the Macedon to complement the gorgeous pastel tones of the front sitting room and blues, greens and greys to the Marsden that work beautifully with the Scandinavian aesthetic of the rear living area,” explained Nicole.